Speaking of evil, here’s another Burger King promo piece from the terrible Star Wars prequel The Phantom Menace. 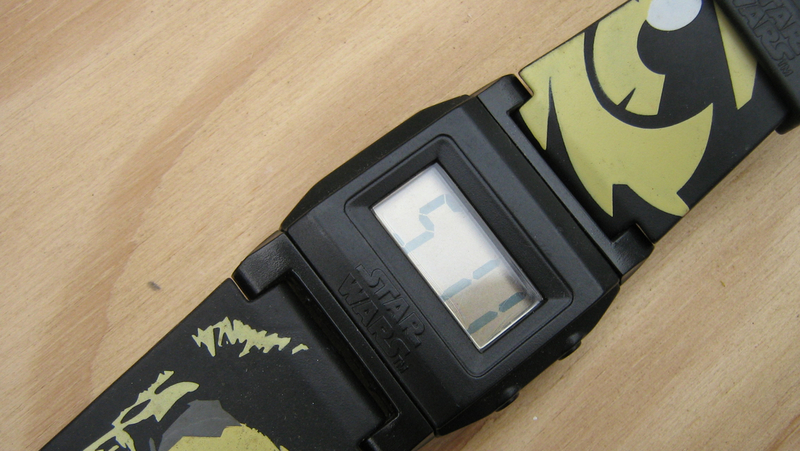 It’s from 2005 and features Obi-Wan Kenobi on one side and Darth Maul on the reverse. 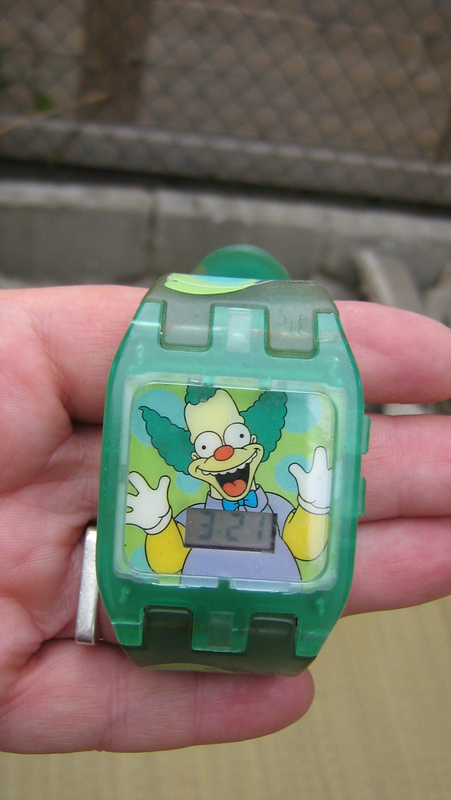 I don;t know where Burger King is getting its batteries, but this ten-year-old timepiece is also still keeping time. 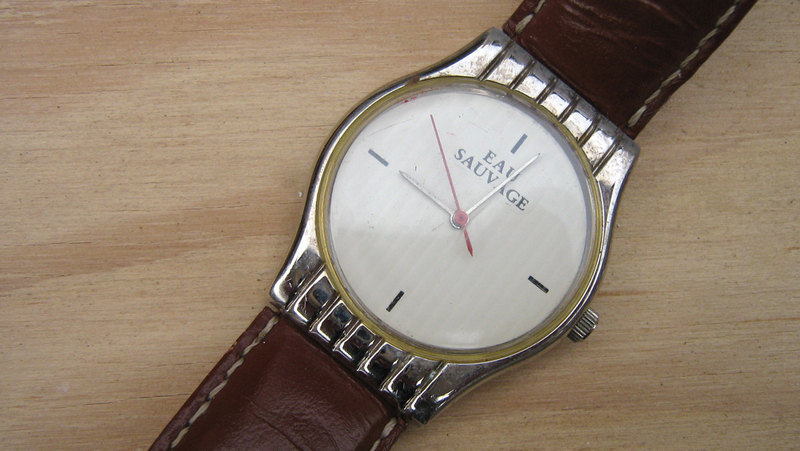 And finally, a fancy Christian Dior Eau Sauvage gift with purchase watch. Of course it would be nicer (aka more saleable) if it said Dior on it, but it’s not a bad-looking timepiece.